You don’t need me to tell you that SEO is big business. The industry is now reported to be worth an estimated $65 billion. Search engine rankings can transform a business and it’s why SEO plays a central part in its many companies marketing strategies. It’s also the reason that myself and a lot of the good people who write for State of Digital have jobs! Before you start any SEO work, you’re going to want to find the right keywords to optimise your site for. You may think it’s obvious what keywords you need to target, but good keyword research can help you spot quick wins and less competitive areas to optimise for. Luckily, there are a number of tools to assist with KWR. 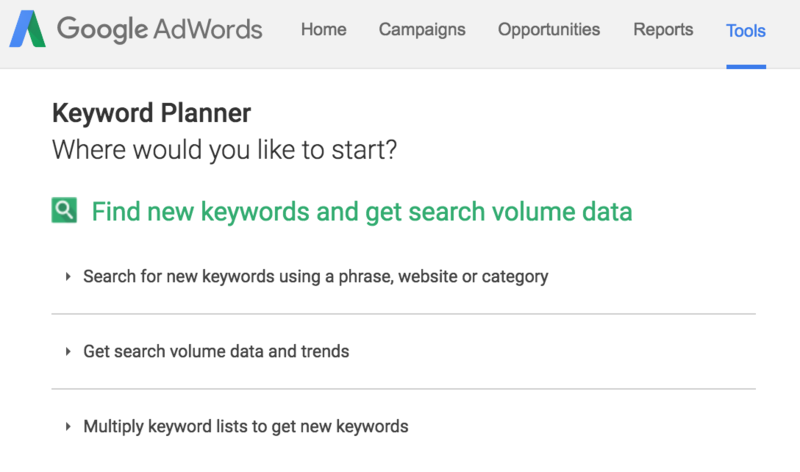 As I’m writing this blog, the Google Keyword Planner is undergoing a rather dramatic change which unfortunately makes the tool less helpful for SEOs. It used to give you accurate(ish) historical data of keyword volumes. However, as it is primarily a tool for PPC (the dark side of the force) they are now limiting the accuracy of the data it gives out to a numerical range, e.g 100-1000 searches. However it’s still a tool that’ll give you a good idea of what keywords to optimise your site for. If you want to learn more about Keyword Research, here’s a monster guide on keyword research from Gianluca Fiorelli. At a very basic level, SEO can be drilled down into two things: relevancy and importance. When Google looks to rank a result, it assesses how relevant the page is for the query and how important it deems the page and site. Getting your onsite right looks to make your web pages relevant for the keywords that you have identified. A key part of this is that Google ranks pages, so each page needs have unique content and keywords to rank for. Now, Google says that meta descriptions don’t count towards rankings. However, below are the results for a number of keywords for a well known restaurant chain after we optimised only their page titles and meta descriptions. When Google looks at your content it pays a little bit more attention to the headers on your page. Imagine you’re given 2 seconds to look at an A4 page of writing that doesn’t contain any sub headings or titles. If I then asked you to explain to me what the document was about, then you’d probably struggle a little bit. Headers naturally space out content for the user and the search engine. This makes them important places to put your keywords. The biggest SEO value comes from your H1 and it decreases with every increment (H2, H3, H4 etc.). However it’s important not to stuff your page full of H1s and H2s. This is about making your page as relevant as possible, so only choose have one H1 on your page and make sure that it contains your priority keyword for that page. The third result clearly shows both the user and search engine what your page is about and helps your chances of ranking for those keywords. 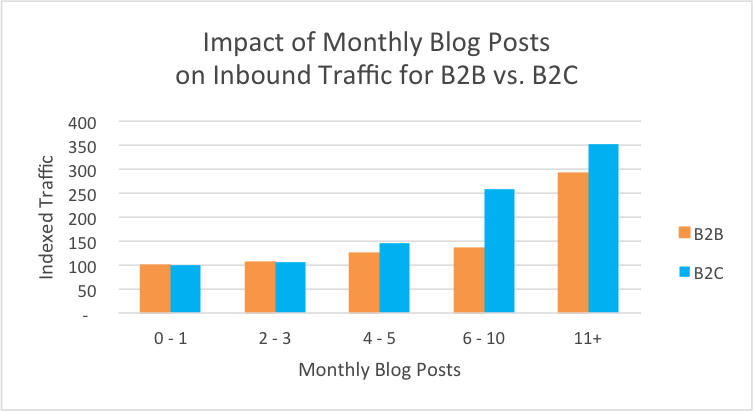 The graph below from HubSpot shows the importance of creating content for both b2b and b2c companies. Content is an essential part of a successful SEO strategy. From a pure SEO perspective, creating regular content means more pages are being added to your site that contain naturally occurring keywords and longtail keywords. Creating unique, relevant and useful content can also help with attracting relevant links to your web pages. The amount and (more importantly) the quality of your links are a major ranking factor. But it’s incredibly important that these links are earned in the correct way, and good content and outreach is the best way to earn those links. Don’t be tempted to shortcut your way to getting links by buying them. If you do, then you might be subject to a Google penalty which causes a whole other world of problems! But what type of content should you create? Check out this blog on 72 different types of content to get you started! Content strategy is a huge topic within itself. So also be sure to check out this blog to understand why it’s important to have a content strategy. If you’re a bricks and mortar store, or you offer services within a specific area then I cannot overstate how important this is. As technology advances and the SERPS continue to evolve with it, local information is becoming more and more prominent in results. 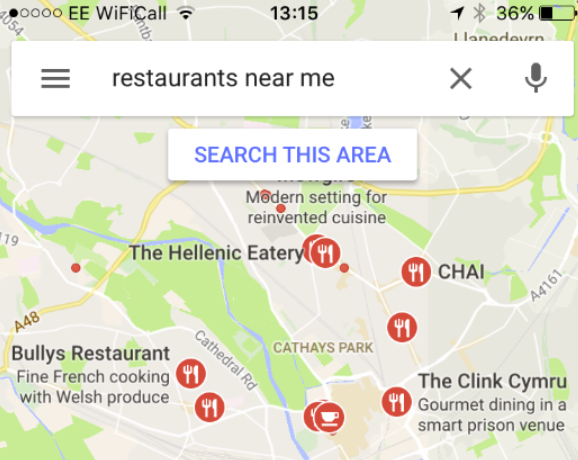 Google are continuing to ‘localise’ more keywords and show map results wherever possible. It’s also an area which is often overlooked, so this could be a a quick win against your competitors. For more information on these points, check out this useful local SEO guide. If you start implementing all of the above (good on you, tap yourself on the back!) then how do you know if it’s working? Analysis and reporting is again, a key area of a successful SEO strategy. But what should you be looking out for? It’s always worth keeping an eye on your links. If there is suddenly an influx of links that you don’t recognise and look less than normal then it could be something to investigate. While analytics gives you a huge amount of data, remember that it should always make you ask questions (e.g. why are users bouncing on this page). The long and short of it is that SEO is not a once only job. You have to constantly keep at it, and I have only highlighted what is tantamount to a few bright stars in the galaxy of SEO. Tactics and strategies have to constantly change and evolve in line with technologies and search engine algorithm changes. However it can’t be denied how important search is in the every day of people’s lives, and how it can transform a business’ goals.